It’s official: We live in uncertain times. Just pick up today’s paper and the headlines are screaming with news that let’s us know we are living uncertain times. Economic instability. Corporate restructures. Shifting tectonic plates. There’s no doubt about it, uncertainty can be uncomfortable. We human beings are wired to want to control our environment. We enjoy the stability that comes from having continuity between our past and future, a future that is familiar, stable and predictable. We like to feel that we are masters of our own ship, in control of our fate, and so it’s entirely natural to find ourselves feeling a little out of sorts when our future becomes an unknown quantity. But as much as we may try to do otherwise, it is impossible to chart a certain path through uncertain waters. The reality is that in our fast changing, unpredictable and accelerated workplace and world, it’s those who are willing to embrace uncertainty and take decisive action, risky action, despite the many “unknowns” who will reap the greatest rewards. When I first left my parents’ dairy farm at 18 to move to “the city” for college, I was part excited, part terrified and completely outside my comfort zone. What lay ahead was all unknown. But as I found then and countless times since, no worthwhile aspiration can be accomplished without surrendering the comforts of the familiar. Only in giving up the security of the known can we create new opportunities, grow capability, build confidence and expand our influence. It’s a lesson that was reinforced in my interviews with accomplished leaders across a diverse range of fields while researching my second book Stop Playing Safe. While each person had forged their own unique path to success – either up an organizational ladder or as an entrepreneur – the common thread of wisdom they all shared was that in today’s competitive and fast changing workplace, we can never hope to achieve success unless we’re willing to embrace the unknown and get comfortable with the innate discomfort of risk taking. One of those leaders was Lori Garver, who worked her way up in the male-dominated aerospace industry from an administrative assistant role to be appointed the Deputy Director of NASA. Like so many successful leaders, Lori has always been driven more by what inspires her than what scares her. While it would be convenient to assume Lori was born with a coating of psychological Teflon, the reality is that along her road to success, she’s experienced setbacks, and copped her fair share of criticism. She has just never let fear of failure hold her back from challenging old assumptions and pushing the boundaries of possibility. She’s spent a lot of time outside her comfort zone in the process. Throughout our careers and lives we must continually assess whether we are letting our fear of the unknown keep us from taking the actions to move us forward. If you’re not sure whether it is, then ask yourself what you would do if you weren’t afraid of failing. The first answer that pops into your head will point you in a direction you need to go, albeit an uncertain one. What actions would you take that you aren’t taking now? What conversations would you engage in that you’ve been avoiding? Where would you step up to the leadership plate more boldly, and in doing so open up the possibility for new opportunities, new relationships, new alliances, and new ideas to take bloom? Ten years from now there will be people who have achieved extraordinary success in every field of endeavor. While we don’t know who they will be, one thing is sure - they won’t be people who have played it safe and stuck to ‘business as usual’. Rather, they will be people who have continued to stretch themselves, to forge new ground despite the unpredictability it invites, and to risk failure in the process. Because if one thing is certain, certainty can be comfortable and demand little from us, but clinging to it limits our future, stifles potential , shrinks opportunity and precludes us from ever realizing just how much we’re capable of doing. 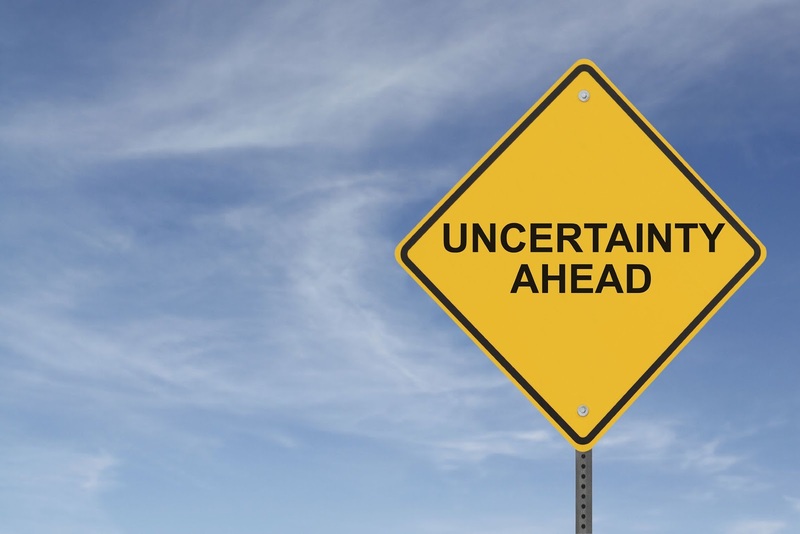 Uncertainty can ultimately enrich your life, or diminish it. Embrace it.